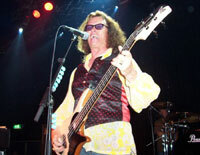 This was Glenn Hughes' first full show in Holland for around five years. Together with Red Hot Chili Peppers' drummer Chad Smith they performed in the ´Boerderij´ ('The Farm') in Zoetermeer. At the very moment when the musicians arrived it started raining, it was unbelievable just how much water came down. The only thing Glenn said was ´get Chad, get Chad´. Chad was the only one who waited a few moments. Inside they started immediately with the soundcheck. Later on they came out for some questions and photos. Glenn said that they were willing to play for 2.5 hours and that there were 18 songs on the setlist. Going by the interaction between Chad and Glenn you could see that they are very good friends. They joked constantly, and Chad took the opportunity to say that a new RHCP album will be out in October. 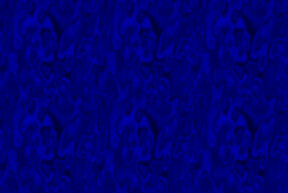 Glenn recalled his old Deep Purple days with quips such as ´here´s a song for ya, as my old mate used to say´. J.J.´s solos were absolutely brilliant; quiet pieces and heavy rhythm work, he can play it all. The solos in Mistreated and You Fool No One were particular highlights. The promised 2.5 hrs. were easily filled, and the encores Stormbringer and Burn made the show even longer. The setlist showed Foxy Lady but that was replaced by Stormbringer. Lucky me, because that is one of my all time favourites. The whole evening was sensational, especially for Deep Purple fans. The few RHCP fans might have been a little disappointed, but the two girls behind me were happy with Chad's drumsticks which I caught for them. The complete setlist: Soul Mover / Orion / Might Just Take Your Life / American Woman / Higher Ground / Can´t Stop The Flood / Mistreated / Land Of Living / Don´t Let Me Bleed / Stone Free / High Road / Sail Away / Gettin´ Tighter / Sunshine Of Your Love / Medusa / You Fool No One / Foxy Lady - Stormbringer / Burn.